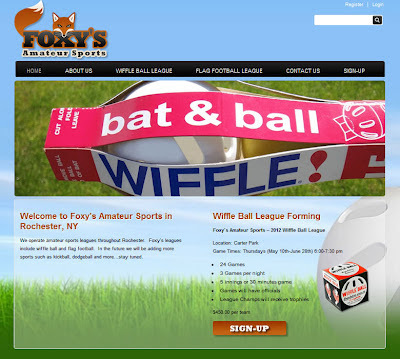 New wiffle ball league forming over at Foxy's Amateur Sports in Rochester NY. Check out their new Website developed by team LaJuett. Foxy's Web project included custom logo design, customized DotNetNuke skinning, and cloud hosting.